It's been the dream of many to build an electric sports car based on the Lotus Elise, leading to concepts like the Dodge Circuit EV and Rinspeed sQuba and the production Tesla Roadster that put Elon Musk's startup on the map. And soon there'll be one more. 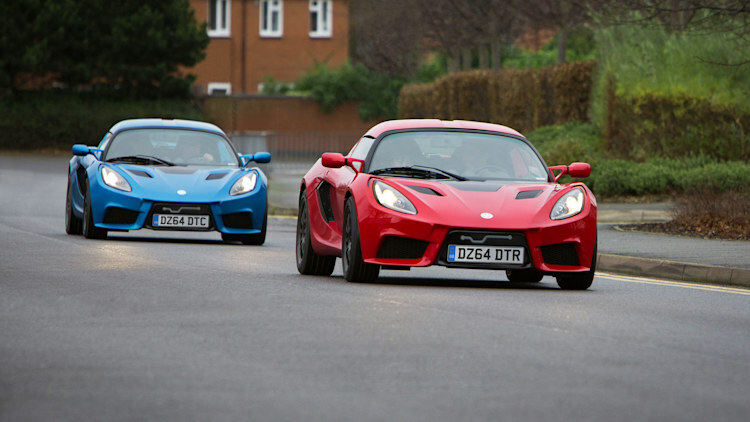 That'd be Detroit Electric, an old marque revived by a former Lotus exec. The company revealed the SP:01 prototype the better part of two years ago, but after moving from Detroit to the Netherlands and taking its design back to the drawing board, Detroit Electric has now revealed our best look yet at the finalized SP:01. Though clearly based on the Lotus, the SP:01 now features a fastback roofline (instead of flying buttresses) as well as an integrated rear wing and diffuser to keep it stable and grounded at speed. The design of the cockpit has also been revealed for the first time. Underneath the lift-off top (which Porsche would call a Targa) is a more streamlined cabin with two-tone leather or Alcantara buckets, ambient lighting and an integrated 8.4-inch touchscreen running Android and controlling everything from audio, climate control and sat-nav to battery levels and charging functions. Buyers will be able to choose between seven exterior colors, three wheel choices and numerous interior options – that is, once production gets under way. The first showroom is set to open later this year in South Korea before reaching other markets.